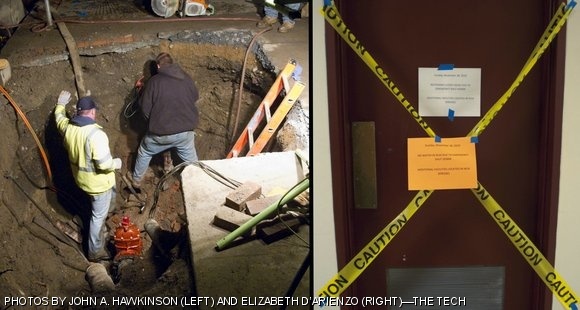 City of Cambridge public works employees repair a broken water main on Massachusetts Avenue outside Building 33 (left). The Student Center (W20) was without water for most of Sunday because of the break, and all bathrooms in the building were sealed off (right). The building was closed down for repairs overnight, and opened again early yesterday morning.